The measurement of relative intensities in CO2 combination bands spectrum is performed using wavelength modulation spectroscopy (WMS) and a DFB (distributed feedback) diode laser operating at 1.6 μm. The diode laser is stabilized with an external Fabry–Pérot interferometer and absorption spectroscopy is performed in a multipass gas cell. A spectrum containing spectral lines of both 13CO2 and 12CO2 isotopic species is recorded. 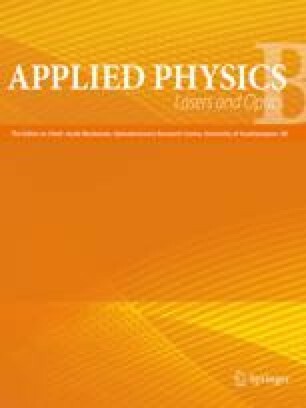 The variation of laser power during frequency scanning and the line shape are taken into account to accurately extract line intensities from experimental data. The isotopic concentration ratio is deduced from the intensity ratio. Both ratios are measured with an accuracy of about 0.5% in pure CO2.